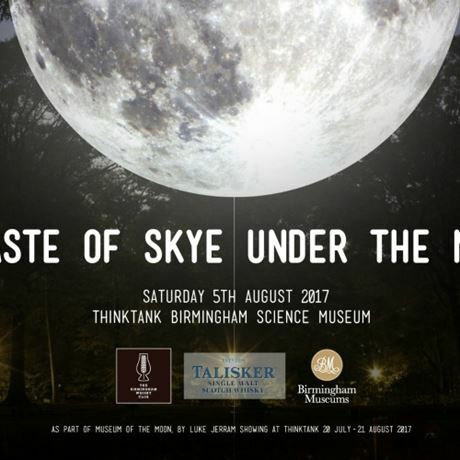 Our friends, Talisker whisky, invite you to a unique lunar-inspired tasting experience at Thinktank, Birmingham Science Museum. On Saturday 5 August, join us for ‘A Taste Of Skye Under The Moon’ – whisky tasting with a difference. 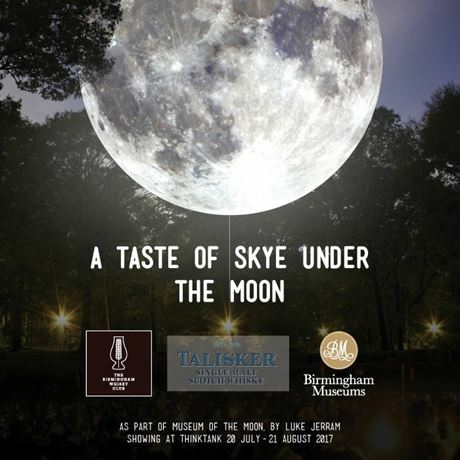 Taking place as part of Luke Jerram's ‘Museum Of The Moon’ UK tour, renowned whisky expert Colin Dunn will lead you on a delicious moonlit journey around the Isle Of Skye, the home of Talisker whisky. Come and learn about these delectable drams from Colin, whilst experiencing a unique work of art. Tickets are sent in e-ticket format. Please bring a printout of these or have them ready on your phone/tablet for scanning on the day. To claim your discounted ticket as valid members of Birmingham Museums or The Birmingham Whisky Club, simply enter the code sent to you in the 'promotional code' box on the ticket screen. One discounted ticket per valid membership. Please bring your membership card with you to the event as it will be required for entry.